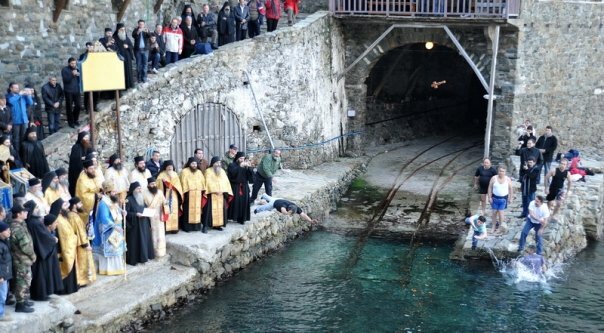 I found these pictures of a ritual that takes place in sea near the boathouse of the monastery Grigoriou. 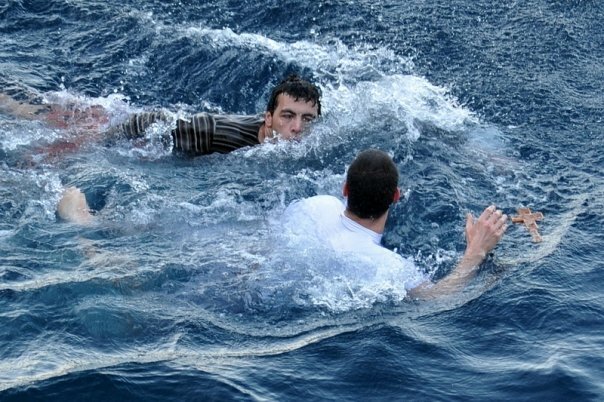 A wooden cross is thrown into the sea and a couple of men dive after it. 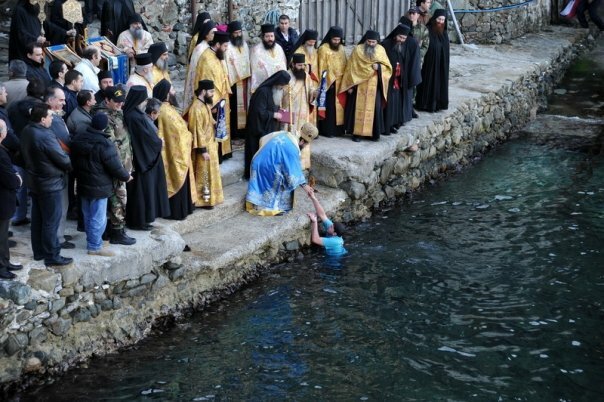 whereafter a loser crawls out of the water with the help of the abbot (?). Who knows more about this event? Why does it take place and when? Thanks for all your expertise and the links you shared (see comments)! This entry was posted in 17 Grigoriou, events and tagged swimming. Bookmark the permalink. We are looking forward to the excellent trip reviews and photos that I am sure will follow! 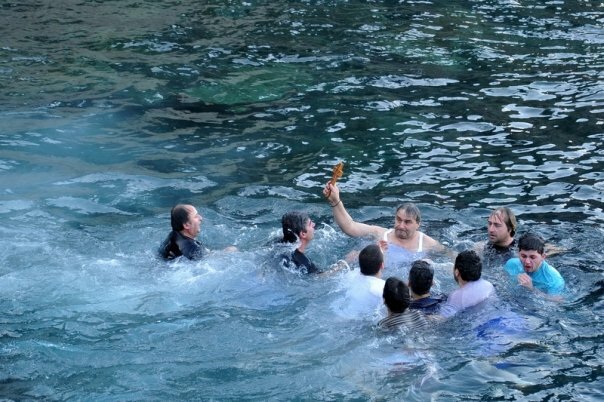 This event takes place every year, on Jan 6th, the Feast of the Epiphany, throughout the Orthodox world. – see the section on the blessing of the waters.